Temple Learning Academy is now complete and ready to open its doors to start the new academic year. 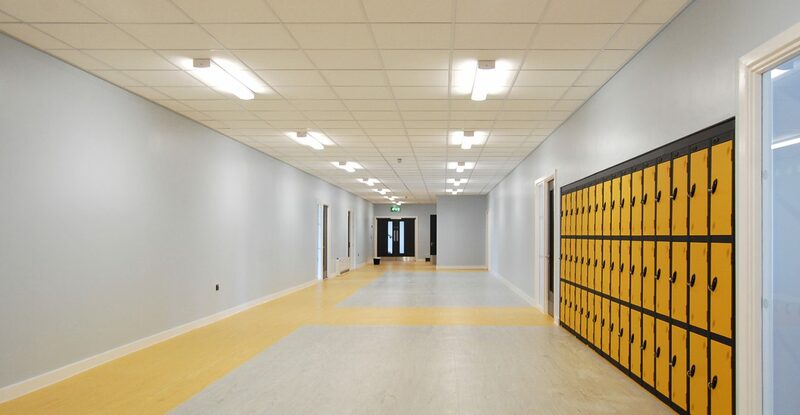 The pool to school conversion and extension started in 2016; and with the works now complete the school has the capacity to educate 1020 pupils aged 4-16 in a through-school environment. 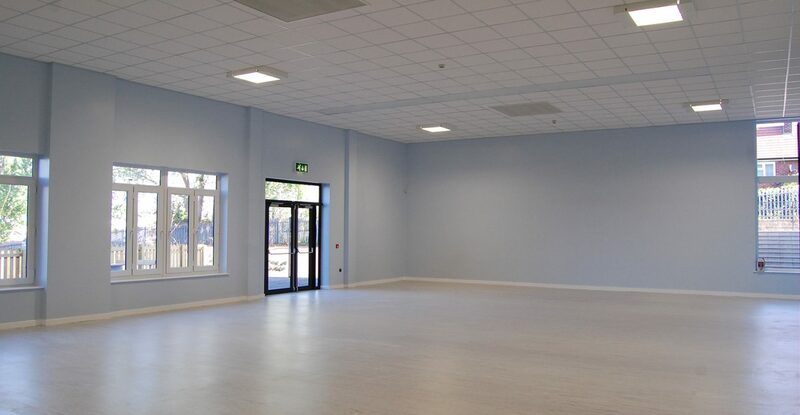 The building works included the demolition of the existing swimming pool hall to make space for a linked 3 storey new-build teaching block and assembly hall. 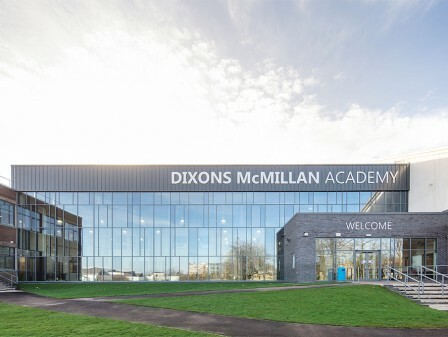 The retained element of the leisure centre was retained to house the schools sports hall, dining hall, staff and admin facilities and a ‘specialist teaching’ wing which houses the schools, Art, DT, Music and Home Economics facilities. 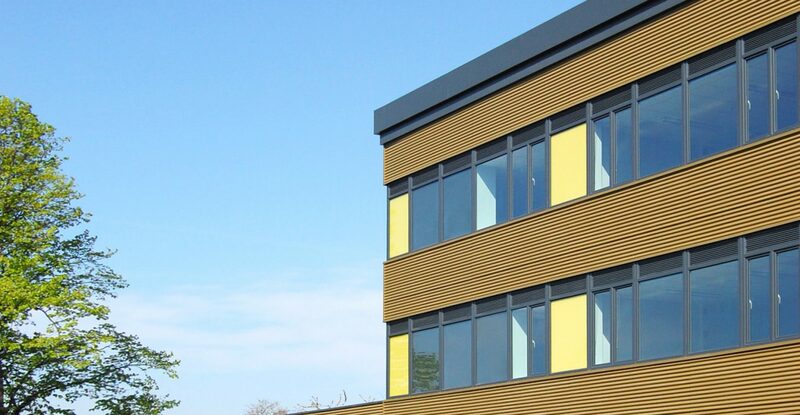 The new-build teaching block is where the majority of the teaching accommodation is located. 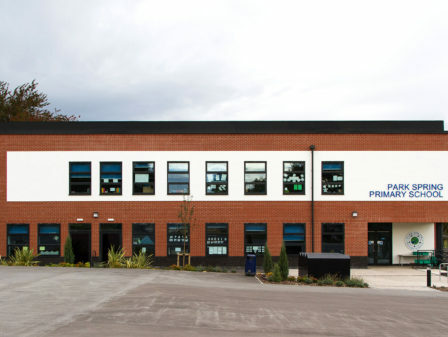 The 3 storey design was established to provide segregation of the pupils based on their age and year group. The lower ground floor (below the existing buildings ground floor) is where the youngest pupils of the academy are located. 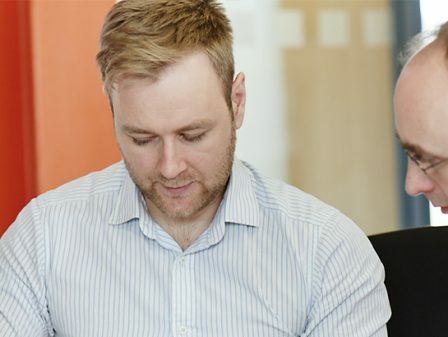 Provided with its own main entrance and reception, the lower ground floor is able to function independently of the floors above. 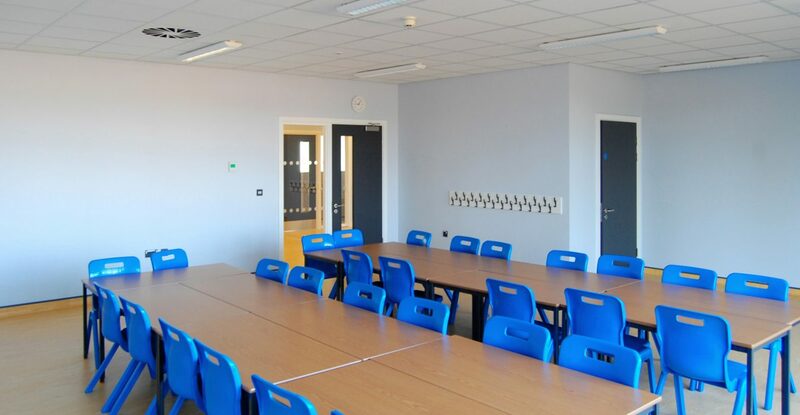 The classrooms on the lower ground floor all have direct access to external play areas which are surrounded with secure fencing providing segregation from the older pupils. The lower ground floor also has access to an assembly hall which is adjacent to the kitchen on the floor above. This allows the younger children to dine in an independent space away from the older pupils while being served from the same kitchen. The ground and upper floors are home to the older phase 2 and phase 3 pupils with the oldest pupils (phase 3) occupying the 1st floor. 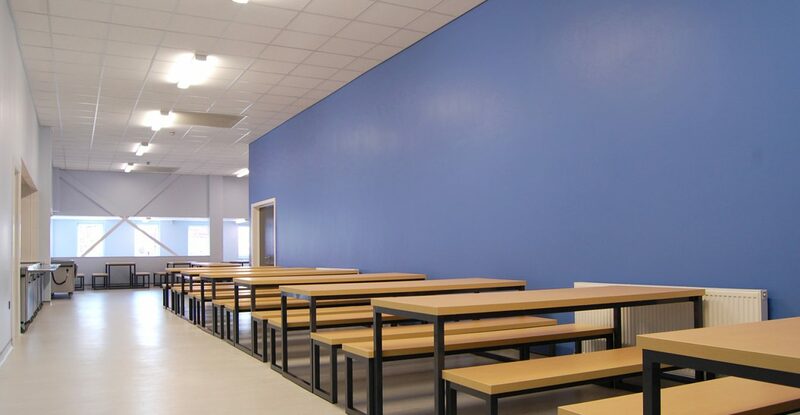 The building is arranged on a simple formal layout of classrooms either side of a central corridor. The simple layout of the building is complimented with a simple but effective façade design. 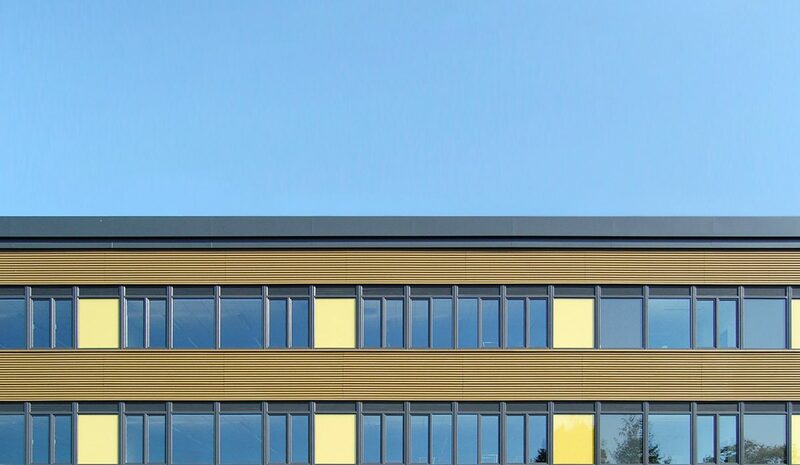 Each classroom has a fully glazed façade with tall windows (2.7m above floor level) to maximise the natural light entering the teaching spaces. 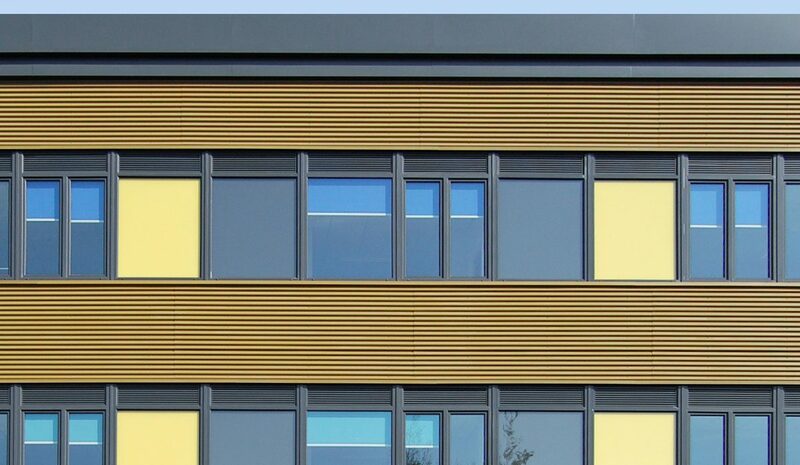 With tough brick to the lower ground floor, bronze coloured sinusoidal metal cladding is fitted horizontally to reinforce the banding and ribbon effect created by the windows and high level louvre panels above. 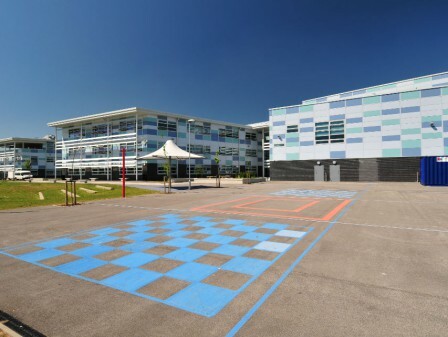 The colour scheme for the building was created from the schools logo and colours. 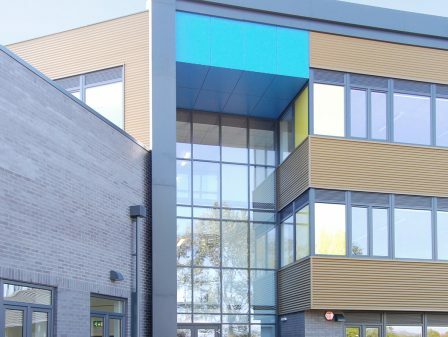 The entry points to the building are highlighted with bold coloured trespa cladding with a 2 storey recessed cladding zone noting the primary entrance to the school.